– Added option to manually change Playlist image, only available for the new Custom audio library, switch to this in Advanced settings! – Internal changes to remote controls (bluetooth, headphone button). To fix unresponsive and delayed button presses. – Changes how widgets are updated to fix unresponsive widgets. 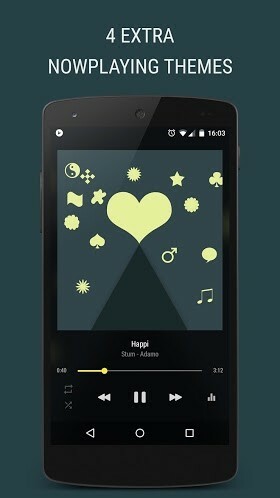 – Added option to use the Artist image instead of Album cover on Now playing screen. The color ui and background effects does not use the Artist image yet. 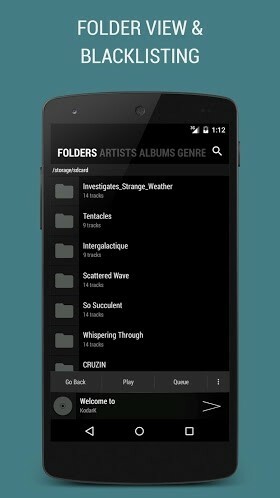 – Added option to view Playlists as Grid, tap on the top ‘PLAYLISTS’ title to activate this. – Tried to improve the Chromecast feature, tried to fix Chromecast dying after one track. – ‘Gradient UI’ now works on the Custom lockscreen. – Playlist swipe remove can now be disabled in the Playlist page instead of only in Settings. – Bugfixes with the new Custom audio library.